Now in its sixth year, Art Los Angeles Contemporary is once again set to fill the cavernous Barker Hangar with works from over sixty blue chip and emerging galleries, hailing mostly from the United States and Europe. 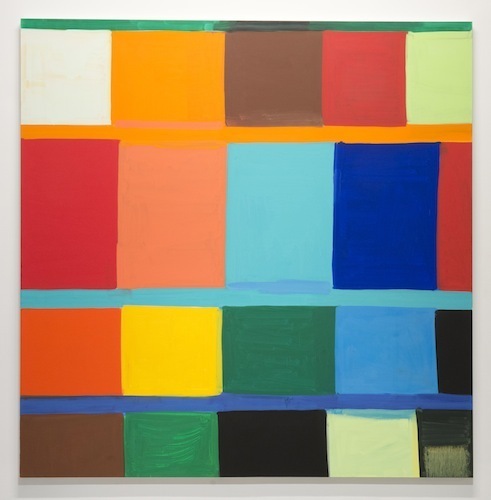 The emphasis continues to be on the Los Angeles Art Scene, with important local galleries in attendance, including ACME, M+B, Marc Selwyn Fine Art, and Susanne Vielmetter Los Angeles Projects. With FIAC postponing the launch of their LA edition to 2016, Art Los Angeles Contemporary holds the top spot for the city's art fairs. The 27th edition of the UK's premier fair for modern British and contemporary art features 128 exhibitors at the Business Design Centre, in Islington. New this year is a pair of sculptures by Eduardo Paolozzi installed outside the fair, a special exhibition of photographic installations, an interactive game of "B.I.N.G.O," led by the artist duo Henry/Bragg, and a film program held in partnership with the new media archive and distributor LIMA, Amsterdam. Situated adjacent to the main fair, Art Projects is dedicated to emerging artists from around the world, with an exciting program of cutting edge installations, solo shows, group shows, and experimental film and video works. The leading platform for Asian art, Art Stage Singapore is the highlight of South East Asia's annual art season, attracting art enthusiasts from around the globe and providing a meeting point for artists, curators, and collectors. Special exhibitions at this year's event include an Andre Masson retrospective, a showcase of works by four young Korean artists, and a "video stage" showcasing more than 60 video works positioned in a way that highlights the historical importance of the medium. A show of contemporary Russian art will pose an interesting juxtaposition with the works coming out of the myriad of Asian countries represented. From the Speaker's Forum to "Curated Walks," India's premier modern and contemporary art fair features an impressive roster of activities and events alongside its dynamic showcase of artworks by Indian and International artists. One particular section to look out for is "Art Projects," which promises to present "the most stimulating contemporary practices in visual arts." Among them is a live collaborative painting by Chitra Ganesh and Dhruvi Acharya, a meditative tent by Francesco Clemente, and a site-specific piece by Daniel Buren that drapes the entrances to the art fair's two pavilions in colorful light that changes as the Earth moves around the sun. Now in its seventh year, India Art Fair features 85 galleries from around the world and continues to establish itself as an integral event on the global art calendar. Dubbed "one of the best art fairs of the moment," by Le Monde, Art Rotterdam offers a dynamic yet intimate alternative to the big draw art fairs on the international art circuit. With a focus on young artists and up-and-coming talent, the Rotterdam show features 70 galleries from around the world at its 16th edition. New this year, Intersections offers a stage for non-commercial venues, such as non-profit organizations and artist initiatives to showcase works with an alternative, experimental edge. History and architecture enthusiasts will want to take the guided tour of the iconic industrial venue, the Van Nelle Factory, which became a UNESCO World Heritage Site in 2014. Oil on linen, 96 x 96 inches, 244 x 244 cm, unique, on view at Art Los Angeles Contemporary.